Hopefully you have found the dates you require , however if you require any other dates not listed - message me the the holiday dates you require and length of holiday required. , So i can give you an accurate price . 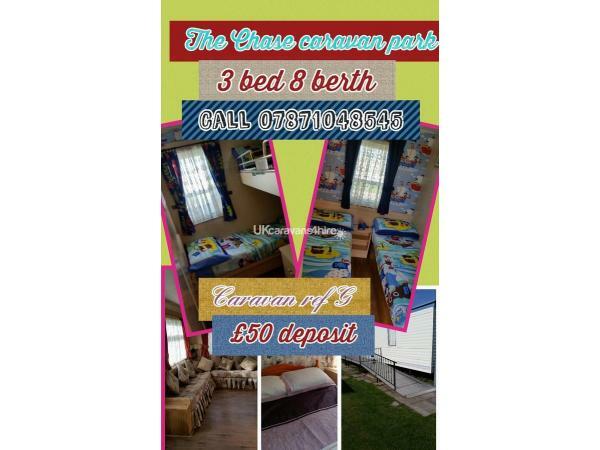 I do have other vans on The Chase caravan park so may have availability in another van if your date ia already booked in this caravan. 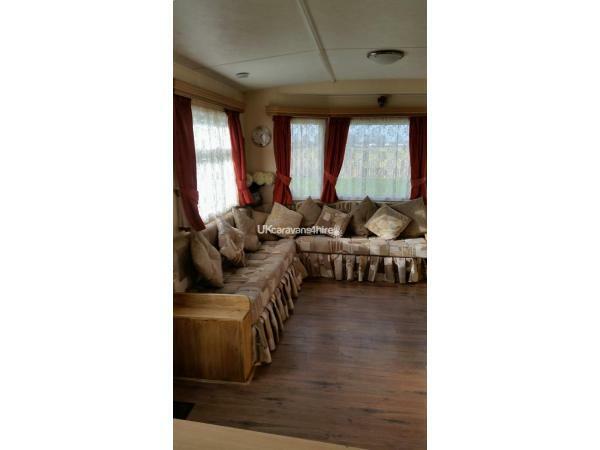 Beautiful 3 bedroom 8 berth double glazed caravan for hire .. which is situated on The Chase Caravan Park in Ingoldmells.. 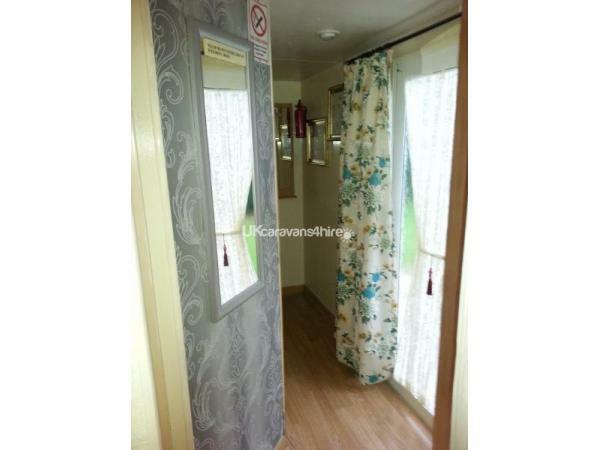 The caravan is located in a nice spot, parking next to the caravan and is just a few minutes walk to the entrance. Quiet park well maintained - NEW for 2018 - on site clubhouse " WOODY's BAR' with indoor play area for children with a range of entertainment ,restaurant and outdoor play facilities for the kids to enjoy. 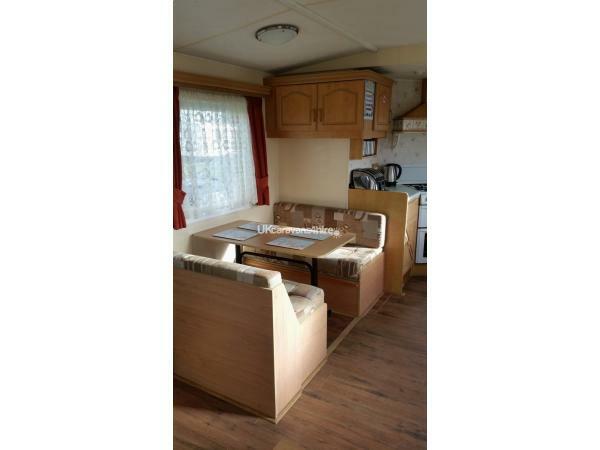 Patio area with pub style bench and table seating with a grassed area next to the caravan to while away away a few hours in the sun. 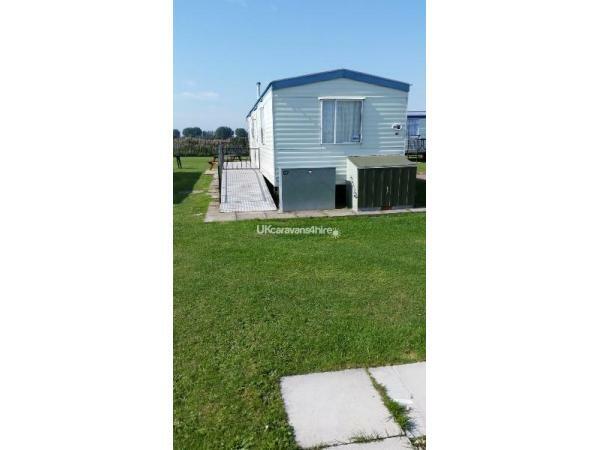 At the rear of the caravan is a shed with washing machine ,freezer and umble dryer. No more trekking to the launderette. 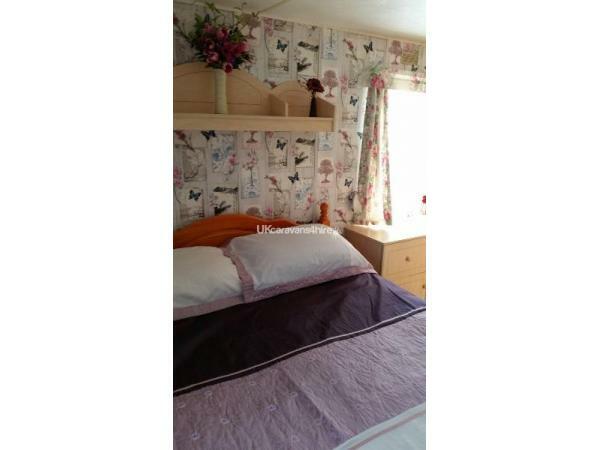 Large roomy lounge with plenty of seating, laminate flooring gives it a modern light and airy feel.and electric fire in the lounge, panel heating in the main bedroom, hallway and one of the twin bedrooms, plus additional portable heater. Seaside theme shower room. 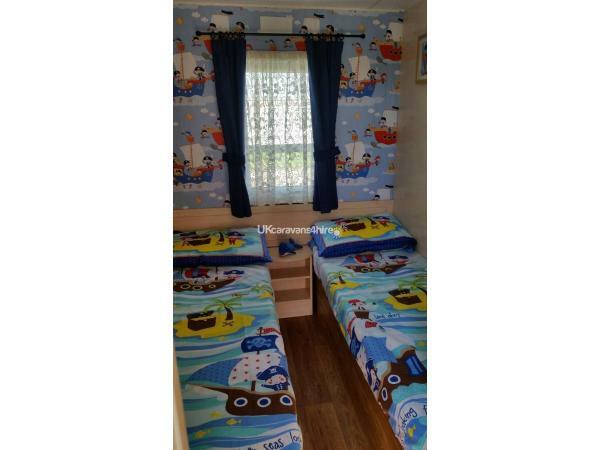 Child friendly decor in both twin bedrooms. Selection of DVDs available for use for you to use during your stay. 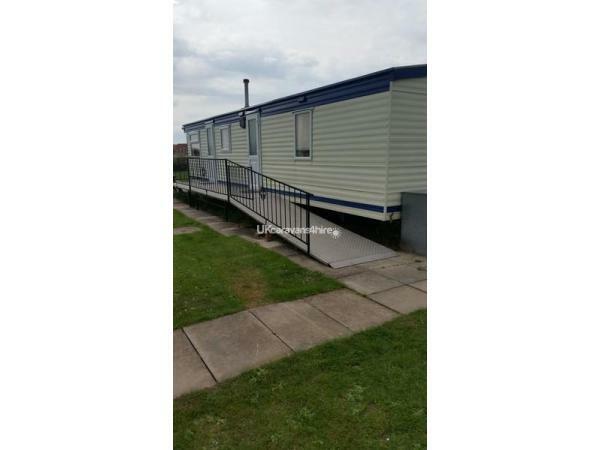 have 3 additional caravans on Butlins ( located at Parkside and Sandhills). Look on my other adverts 3465 / 3805 / 5601. 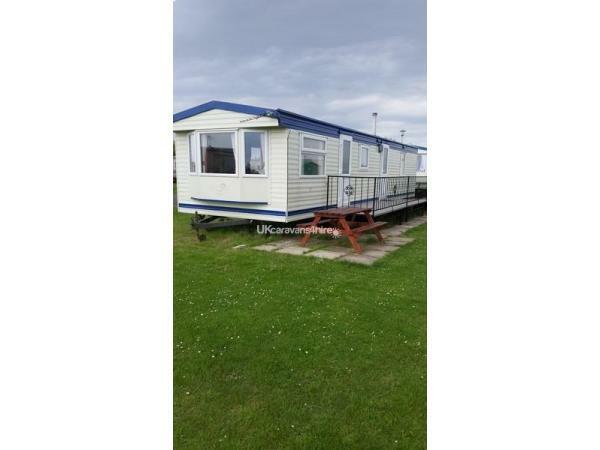 I also have other caravans on The Chase Caravan Park, Ingoldmells. Look on my other adverts 4589 / 4590. You can book with Confidence, I look forward to hearing from you ( Jean ). 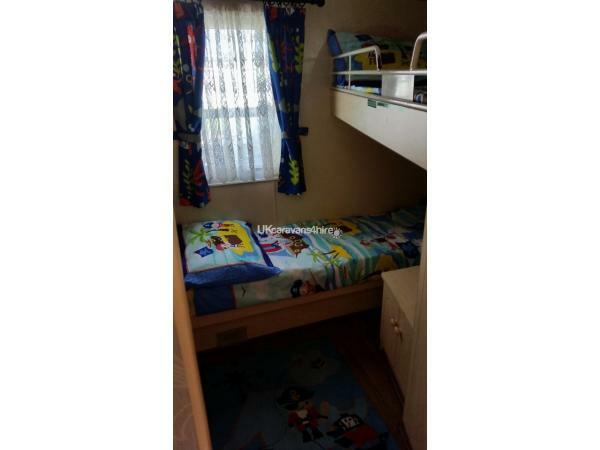 Additional Info: Woody's Clubhouse - Restaurant - Launderette - Indoor play area - Outdooor soft play area.